Search all Carmel real estate for sale including Carmel-by-the-Sea homes and condos for sale on the Monterey County MLS on one easy to use website. We use only the most accurate "official" Carmel, CA MLS Data to update this website daily. Please watch the short video below to show you how this website can help you find the perfect Carmel home. Have you ever wondered what it is like living in Carmel, CA? Let the Monterey Peninsula Home Team's agents tell you about their favorites parts of living in Carmel-by-the-Sea. Click on the video below to hear what they have to say about living in this great little seaside community. 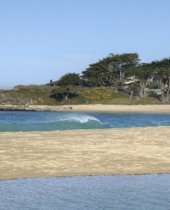 For more information about moving to Carmel, CA or about activities, restaurants, things to do, jobs, news, etc., visit Live Monterey Peninsula (Carmel), a city guide for all peninsula cities including Carmel. Welcome to our Carmel, CA Real Estate page that is devoted to homes, condos, and properties for sale in Carmel and Carmel by the Sea, CA. We have taken the time to break down Carmel homes for sale into various relevant real estate searches based on how many of our clients have searched for homes for sale in Carmel in the past. We have various Carmel and Carmel by the Sea neighborhood and home-style links on the right-hand side to help you quickly find homes that you might be interested in such as Carmel Cottages for sale or homes for sale in the Golden Rectangle among others. To set up your own Carmel real estate search based on price, use the box at the top of the page, or for an advanced real estate search, go to our advanced search page. If you just want homes in Carmel-by-the-Sea only then click here! To see all Carmel real estate for sale, this is your link. 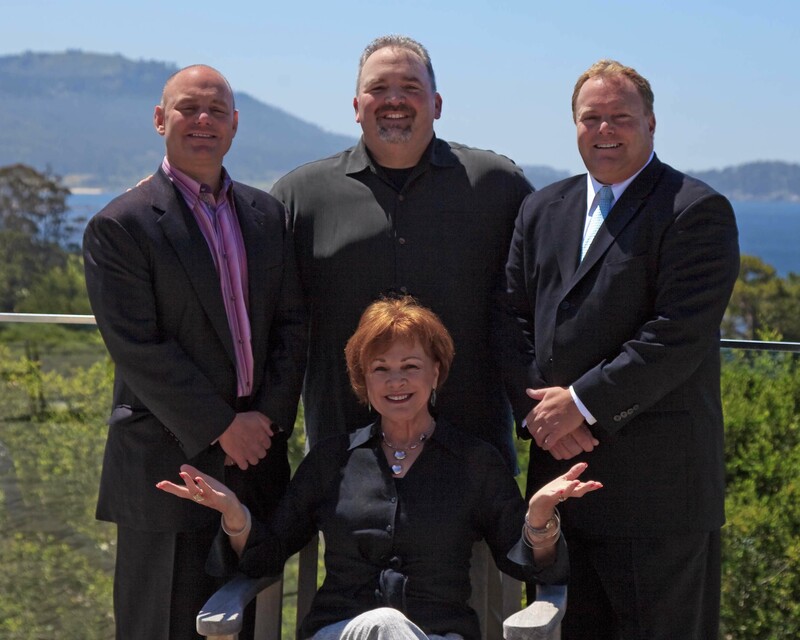 Carmel Real Estate is a passion for all of the Monterey Peninsula Home Team members. We all grew up on the Monterey Peninsula and now we live, work and play in and around Carmel daily. Whether it is eating at great Carmel by the Sea restaurants, shopping at Carmel by the Sea stores or just taking a stroll down Scenic Avenue or Carmel’s white sand beach, one thing is for sure we all love living here and appreciate all Carmel has to offer. All of these years of living in Carmel and the surrounding areas make us uniquely qualified to find you the perfect Carmel home or condo that fits your physical and emotional needs as well as your financial requirements. Our website allows you to search active real estate listings in every Carmel neighborhood and is lightning fast and easy to use whether on a PC, MAC, smartphone or tablet. Whether buying or selling real estate in Carmel, you will find that the Monterey Peninsula Home Team members are always on your side. If you are looking to buy a home in Carmel, our website has all available active real estate listings in the Carmel MLS database and is updated regularly, making it much more useful than the bloated national website portals. If you are ready to see all available new property listings in Carmel with an interactive map, advanced search options, and email alerts, you have come to the right place. Our Carmel property searches are the most accurate and will alert you daily of new property listings when available properties have price changes, and you can even save multiple searches with custom names! Carmel is synonymous with luxury real estate and I’m sure it comes as no surprise to you Carmel is full of luxury homes. Carmel Ocean Front Homes are the most luxurious and valuable homes for sale in Carmel and are also extremely limited. These luxury properties are actually built on the ocean side of the street either on the sand of Carmel Beach or on the granite coast outcroppings and offer incredible views of Point Lobos, Carmel Beach, Pebble Beach Golf Course, Carmel Bay and the Pacific Ocean. The oceanfront land alone is worth a small fortune! If you are set on building a new luxury oceanfront home in Carmel, you will have to buy an existing home and knock it down. Carmel luxury frontline real estate has similar views as the oceanfront homes, but often have cypress trees filtering the views a bit and are a little more abundant and more affordable than the oceanfront homes. Scenic Drive in Carmel is full of luxury real estate like this and there are normally two or 3 for sale at any given time. These examples of Carmel luxury and charm come in all sorts of sizes, shapes, and styles. I’m sure our team can find the right Carmel frontline luxury home for you! 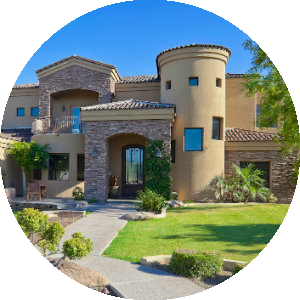 If you are looking for special Carmel ocean view real estate for sale, this website will be able to help you find an ocean view home in Carmel. There are homes with ocean views all over Carmel and some are surprisingly affordable, depending on the extent of the view and where the house is located. There are sizable premiums on homes with unobstructed views of the Ocean, especially if the view includes a clear shot of Point Lobos or the home is close to Carmel Beach or Carmel River Beach. There are unique Carmel neighborhoods known to locals but often overlooked by home buyers who are new to the area. Carmel areas or neighborhoods with well-known traits include Carmel Hills, Carmel Meadows, Carmel Point, Carmel Woods, Carmel Views, Hatton Fields, High Meadows, Jack’s Peak, Mission Fields, Northeast Carmel, Northwest Carmel, Southeast Carmel and Southwest Carmel commonly referred to as the Golden Rectangle. Each of these Carmel areas has a unique feel and style to them and the prices will differ area to area. Be sure to contact us with any questions you might have regarding the various neighborhoods in Carmel, CA. A luxury condo in Carmel could be what you are looking for. Carmel condos are sprinkled around the downtown area and there are a couple of condo options east of HWY 1. In general, condos for sale in Carmel are a pretty rare option. Although Carmel doesn't have a lot of foreclosures or short sales, an occasional Carmel foreclosure or even a Carmel by the Sea foreclosure will pop up from time to time and although rare, a Carmel short sale may present itself now and again. When they do pop up, the savvy investment buyer will need to move quickly. There are not a lot of traditional investment opportunities in Carmel but there are creative ways to make money here. The rental market is strong here in Carmel thanks to the Naval Postgraduate School (NPS), The Defense Language Institute (DLI) and Monterey International Institute of Study (MIIS) as well as the constant need for housing for employees for the hospitality and tourism industries. Be sure to contact one of our team members for to discuss investment opportunities in Carmel. When purchasing a Carmel home, you need to be aware of the different microclimates that can affect your Carmel lifestyle. Microclimates in Carmel range from very foggy along the Pacific Ocean side of town to east of Highway 1 where the fog tends to burn off more quickly due to the higher elevation and influences from Carmel Valley. It is possible for a couple of blocks to make a big difference in your Carmel homes microclimate. For specific questions contact us and we will be happy to talk to you about the microclimates in Carmel. Carmel, CA is a world-class destination with incredible scenery and mild weather year round. There is plenty to do in Carmel including shopping in some of the best art galleries and shops in the world, eating at some of the best restaurants, enjoying Carmel’s iconic white sand beach or just checking out many of the quaint Carmel cottages that have made the town so famous and desirable over the years. Carmel shares the spotlight with Pebble Beach on some national annual events including the AT&T Pebble Beach Pro-Am Golf Tourney and the Pebble Beach Concours de Elegance. If you want to celebrity watch during the AT&T, Carmel by the Sea is the place to be. You can eat dinner at many of the downtown Carmel restaurants and you might be sitting next to one of the celebs playing in the tourney. The Pebble Beach Concours de Elegance has gone from a 1 day event in Pebble Beach to a weeklong car celebration including a car tour through Carmel and a Car Show that takes up Ocean Avenue for the better part of a day, making Carmel an ideal place to see your favorite cars up close in a natural setting. View blog posts about the Monterey Peninsula including the City of Carmel real estate, homes, and condos for sale by our team. Our Blog contains many topics on Carmel, CA. Do we have Carmel Real Estate Statistics! We have one of the most comprehensive online set of Carmel real estate statistics available anywhere. 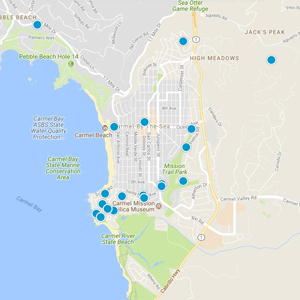 In addition to Carmel real estate stats, each month we report on all Monterey County cities including the Monterey Peninsula Cities of Carmel, Carmel Valley, Pacific Grove, Pebble Beach, Monterey, Big Sur, Seaside, Marina and the Hwy 68 Corridor. Each of these cities can be broken down into neighborhood statistics as well, so you can get very detailed if you want. If you want to study the numbers before you make a decision to purchase a home for sale in Carmel, you better stop here first! We have the latest information on Carmel homes that have recently cold. Click the link above to see the latest Carmel, CA and Carmel-by-the-Sea real estate to have closed escrow in the last 30 days. If you have any questions regarding the properties that have sold, be sure to contact a Monterey Peninsula Home Team member. 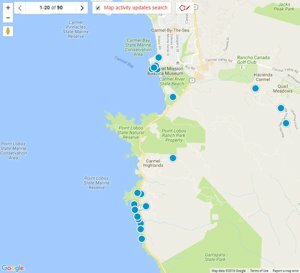 The latest listings of homes for sale listed on the MLS (Multiple Listing Service) in Carmel, CA are below. For a full list of everything that is available in Carmel, you can build an advanced search or contact us and we can do it for you. If you are interested in seeing homes for sale in the Carmel, contact us.